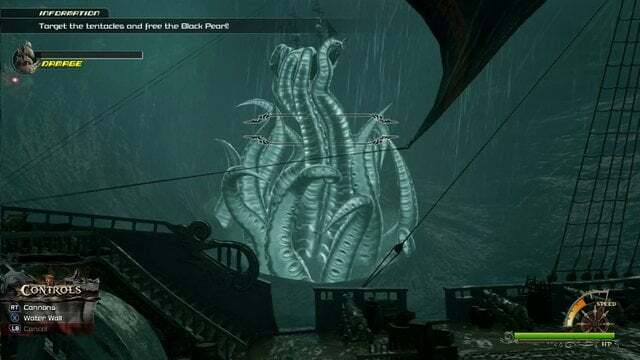 Now it’s time for a truly epic boss fight against both the Kraken and the Flying Dutchman. Your main enemy, though, and the one you need to defeat in order to win is the Kraken. The Kraken has a lot of health but it can be damaged quite a bit with the Leviathan. 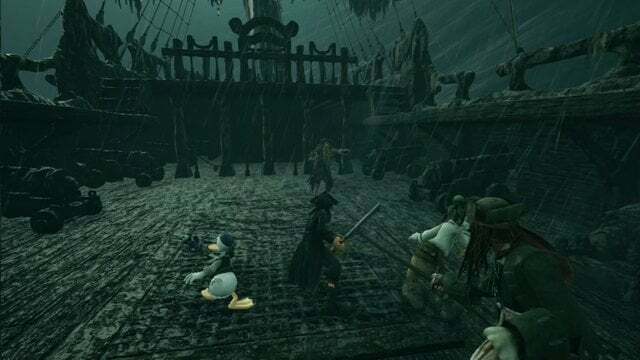 Now it’s time to board the Flying Dutchman and take out Davy Jones himself. He isn’t very strong on his own but he does have a good bit of health and attacks don’t do a ton of damage to him. You want to be constantly on the move because he will frequently disappear and reappear under you. 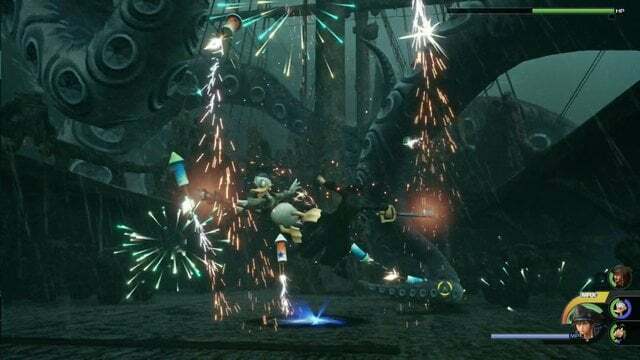 Once you get a good portion through Davy Jones’ health, some Kraken tentacles will appear. You don’t need to defeat all of them so just focus on the ones in the center of the ship where you’ve been fighting. When a few are defeated, Davy Jones will come back. Use your mix of team moves, normal attacks, and Links to quickly take out Davy Jones. He will repeat the same methods of teleporting around to attack you and bringing back the tentacles. Keep going and you’ll defeat him.